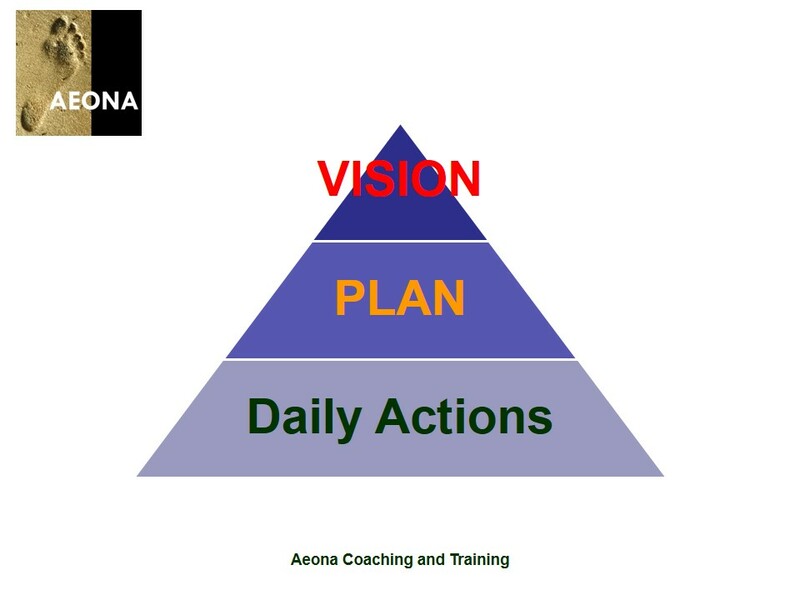 Aeona's Blog – Leadership Coaching: Strategy. Adapting. Change. Performance. September 10, 2017 by Sue Mitchell, Aeona Limited. Change is good because it brings opportunities. You grow when you are taken out of your comfort zone. Challenges teach you much more than easy situations do. Get an ‘interfering mentor’ who will push and challenge you, help you to know what makes you stand out and help you make good decisions. Look the part and behave the part of the role or person you want to be, and people will treat you accordingly. Be strategic (for senior roles, it can be detrimental to your progression / time if you are constantly helping people with the details). Recognise and respect your life stages – integrate your career and life plans so you don’t feel compromised.Eg when being a mum is your no. 1 priority, it is ok to resist suggestions from work for promotion that would compromise your ability to be a mum. Or negotiate the promotion to fit around your priorities or to increase your salary to enable your partner to reduce work hours to share parenting. Once a year do a “Wheel of life” so you can see why your life feels bumpy and set goals to even it out. It makes you reflect and think about what you want. Click here to get a wheel of life tool. Prepare for the next role you want to do so that when you apply for it, you are the best person for the job. To progress to more senior roles, develop your ability to influence outside your sphere of influence.You won’t have direct influence yet you need to be able to shape direction and activities without telling people what to do. If someone wants you in a job and the job description doesn’t suit you, change the job description. You can add value to the new team or organisation this way before you even start. Do you want to raise your game; choose your career direction and progress; feel more fulfilled; reduce stress and compromise; or improve your ‘work / life balance’? Send me an email to be sent advance notice to register for my new open programme on Take control of your career. After excellent feedback from the in-house staff sessions, the online programme is nearly ready for launch. As it includes live sessions and Q&A conversations, numbers in the group must be kept low. Anyone on the priority advance notice list will have first chance to register and grab a place before they’re all gone. Email or call me to arrange a time for a free chat about whether 1:1 coaching or some of our training programmes will give you the impetus you are looking for. August 31, 2016 by Sue Mitchell, Aeona Limited. Confidence is something you can learn and you get it by taking action. Our programme gives you the process and practical tools to be more confident. When you raise your confidence, you raise your game not only in your career but in all parts of your life. You deserve it. What is it worth to you? What difference will it make for you – in work and out of work? Women tend to wait until they are 100% certain they are a perfect fit for all the criteria before applying for a position. In contrast, men will typically apply when they have only some of the requirements. Women often find it hard to fully believe in themselves. Successful women often say they feel like an imposter, that someone will ‘find them out’, that they are not really good enough for this role, or that they were lucky, in the right place and the right time to get the role. In contrast, a man will often say he got the role because he was the best person for it. Women often give themselves a hard time for not living up to their expectations (especially when ‘only perfect will do’) and will often take poor results personally rather than recognising that external circumstances could have played a part too. Men are more likely to negotiate a higher salary: men initiate negotiations four times as often as women do, and even when women do negotiate, they tend to ask for 20%-30% less than men ask for. Women often underestimate their competence, are less confident in their abilities, and are more likely to turn down opportunities even though they are equally capable as their male colleagues who seek out the opportunities. Women more often believe that if we keep our heads down, work hard and deliver excellent results, we will be rewarded. That worked well in school and university to get good grades and praise. Sadly, it doesn’t often work in the workplace to gain recognition, promotion, salary raises or other measures of your success. As one of my 1:1 coaching clients put it “It’s not fair. My boss is putting my colleague forward for promotion just because he talks more about his work. My boss acknowledges that the quality of my work is far higher than my colleague, but he doesn’t see me as being ready for promotion. You should be promoted on quality of your work not politicking about it.” We’ve worked on how she communicates authentically about the strategic importance of her work, so that her boss sees her as ready for promotion and she doesn’t feel like it is smarmy politicking. New opportunities have come her way. or Join the online Confidence Programme with 1:1 coaching to encourage you, give you impetus and challenge you when you need it. Email or call me to arrange a time for a confidential chat about whether the programme or 1:1 coaching will give you the impetus you are looking for. February 19, 2016 by Sue Mitchell, Aeona Limited. Do you find you have a to-do list that extends in all directions? Do you have great ideas but never have time to make them happen? It’s hard not to feel overwhelmed and it’s hard to focus on a few priorities in a world full of possibilities. Being focused requires dedication and commitment, one of the core components for Mental Toughness – which helps you be more successful in life. Here are some tips to help you focus on what really matters to you. Clarify what is most important to you – personally and to your organisation. Review your values and identify your top 5 non-negotiable core values, the examples of when you live these values and examples of how you don’t live these values and can do better. When you are living and working in harmony with your core values, you are more energised, motivated and effective. When your values are conflicted, you tend to become more stressed and disillusioned. Review all the possibilities you have on your plate at the moment. Identify your top 3 priorities, that align with your values, your strengths and your personal motivators – and in work context, that align with your role and organisational priorities. 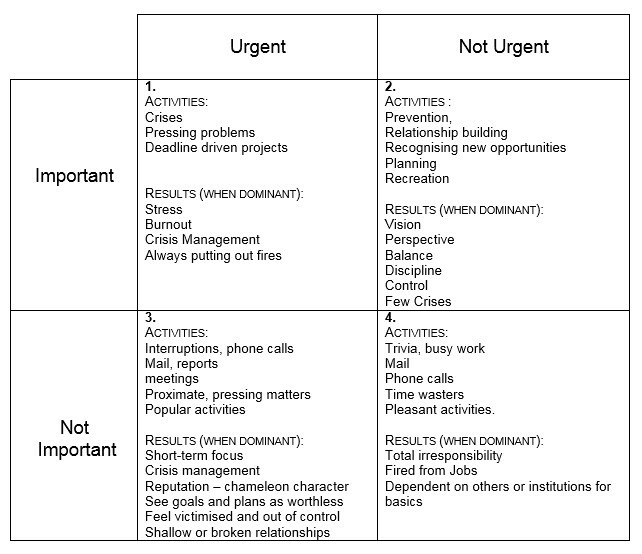 Steven Covey’s Important / Urgent Matrix. (Abridged from The Seven Habits of Effective People, by Steven Covey). This is probably familiar to many of you and for those of you who haven’t yet come across it: Effective people organise and execute their activities around priorities and aim to stay out of quadrants 3 and 4 and ideally mainly in quadrant 2. Looking at your activities, where do they mainly fall. Which is/are your dominant quadrant(s)? What can you do to act mainly in quadrants 2 and 1, and spend more time doing things that are important and not urgent. The results you get in life when your activities dominantly fall in each one of these quadrants are shown below. Which quadrant are you spending most of your time in? How happy are you with the results you are generating as a result? How easily can you make the changes you want? If you want support to make changes, please do get in touch. Let’s see whether coaching will be the right support for you to make those changes and if we would work well together. Email or call me to arrange a time for a free chat about whether 1:1 coaching will give you the impetus you are looking for. July 24, 2014 by Sue Mitchell, Aeona Limited. In June, I was persuaded to submit an entry for one of the Association of Scottish Businesswomen National Business Awards because I wanted to raise the profile of the business and give it added credibility. Looking through the different awards, it seemed I could work with the criteria for the ASB Outstanding Contribution Award. I’ve never done anything like this before and I felt very much out of my comfort zone. It somehow felt wrong that I should put myself forward for something like this, despite other people persuading me that I really deserve to be recognised and should go for it! So, I let it sit there, hovering over me as something I SHOULD do, until finally another conversation tipped the balance in persuading me to go for it. Even so, I procrastinated for more than yet another week. Until on Sunday I suddenly realised that the deadline was Friday and if anyone was going to have a chance to write a reference to endorse my application, I’d better get my skates on. Suddenly it was no longer something I should do, but something I wanted to do. And needed to do for the business. And was SCARED to do! Not only did I feel uncomfortable writing out how I fulfilled the criteria for the award, it felt scary asking my colleagues, friends, and clients from all the different areas of my life if they would mind writing a few words to endorse the application; especially as I was asking for it ideally by Wednesday so I could put everything together around other commitments by Friday. A HUGE thank you to everyone who dived in so promptly and wholeheartedly to meet that preposterous deadline. I have to say that despite the trauma of starting and writing the application, it has been one of my most rewarding experiences. I felt so touched by the support everyone showed me and I really appreciated that they made the time to write such a valuable gift for me. Reading their words gave me such a boost of confidence and of feeling appreciated, that alone made it all worthwhile. And yes, there is an irony in that, as I spend much of my time supporting my clients to build their confidence. Yet we all feel the fear at times, in various guises and reasons, and we all deserve to have people around us to boost our confidence for the times and situations we need it. Even (or perhaps especially!) professional coaches. It is one of the reasons why we have regular ‘supervision’ sessions. As I submitted my application, the experience of just putting it together turned out to be so rewarding that I felt happy that I’d made the effort even if nothing more came of it. For me, this is a classic example of success not being about winning, but about getting stuck in and giving it all you have – and asking for help! And now, the icing on the cake – I’m delighted to have been shortlisted as one of the finalists. I feel honoured to be in the company of so many amazing women. We have interviews next week and then wait until the awards dinner in October to hear the results. So, I’d love to say to you, if you are thinking of maybe applying for an award – Go for it! You gain so much from the experience even before you (or if you don’t) make the shortlist. 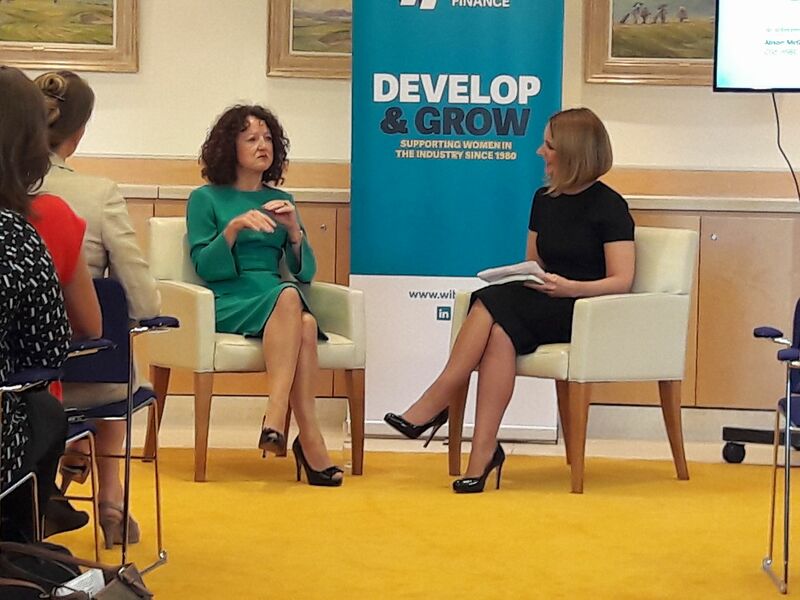 What difference will it make to you, in your life and at work, to be more confident? May 21, 2014 by Sue Mitchell, Aeona Limited. I believe confidence is the foundation for success, in everything we do and in whatever way success is meaningful for us. I believe confidence gives us the personal power to be authentic, true to who we really are and achieve our full potential. For me, confidence is vital. On a scale of 1 – 10, where 10 is extremely important, I rate confidence at 10! When I did a quick Google search on “confidence” there were About 147,000,000 results. That’s one hundred and forty seven million results. That looks like an awful lot of interest in confidence! So that could be evidence that other people also find confidence important. Confidence inspires trust and implies competence. Think about people you know or know of who you believe are confident. What is it about them that makes you know they are confident? Most people will say that is about the way they look, stand, speak and so on. They dress and take care of their appearance in a way that shows self-respect. They look poised, stand or sit up straight, don’t slouch, hold their head up and eyes look up not down at the carpet. They look at you in the eye when they speak with you. 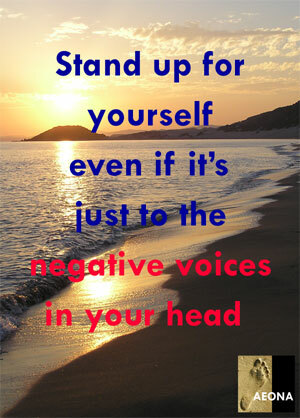 Their voice sounds strong and positive, not strident and they don’t mumble. They speak with conviction, knowledge and assurance. They look comfortable not tense, anxious or nervous. We read all this body language and from that we infer that they believe in themselves, and we tend to believe in them too. Olympic athletes win more medals when they are confident in themselves. Mo Farrah talked about how he used to want to win but in some part of his mind think his competitors were better than him and lose the race when they came up alongside him. Now he’s worked on his mindset and his inner knowledge that he can beat them and is going for it, he’s no longer focusing on the other competitors, he is focused on winning. He feels that confidence is like a weapon that gives you control, and you feel positive knowing you’ve prepared well. Andy Murray is another great example of a skilled athlete whose self doubts were the biggest barrier to winning. Self-doubt clouds your mind and focus with excessive negative thoughts about the outcome, not being good enough and so on. Andy’s ability in tennis was not the problem, he could pull marvellous shots out of the bag, but under pressure made more errors. Once he mastered his doubts and built his confidence, he could remain calm and focused under pressure. He won his first grand slam and then went on to win more. Confidence wins your job interview. When applicants are all ‘equal’ on paper from their CVs, it is the confident person who can be themselves, assured, poised, calm, relaxed and unafraid of silence who comes across as most credible and wins the trust and respect of the interviewer. The confident person is in a better state to contribute to a two way dialogue, ask questions and let their positive attitude, drive, enthusiasm, commitment and interest in the job and the company shine through. Confidence wins your next contract and your next customer. 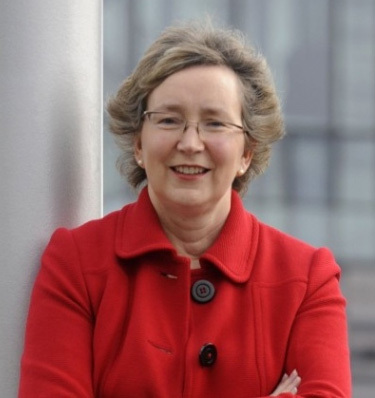 Whatever your role in work – the business owner, project manager, sales person, retail assistant, receptionist and more – your confidence in yourself, your work, your organisation and your products and services comes across in how you interact with people and influences their decision about whether they want to work with your or buy from you (or your organisation). For all the reasons described above. Confidence has a massive impact on how we enjoy life. 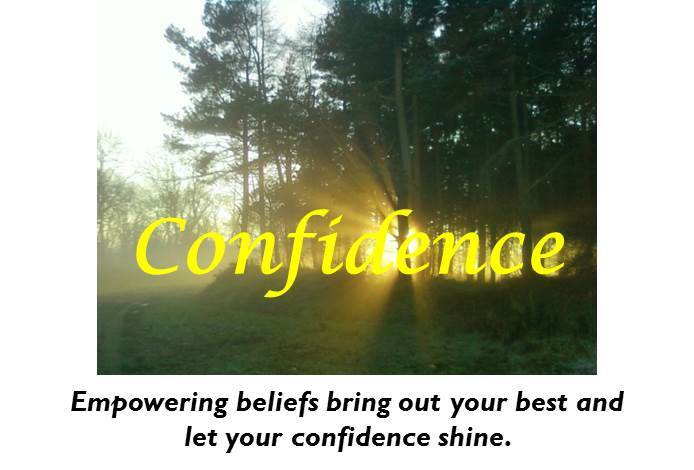 When we feel confident we are not beset with self doubt or negative self talk. The neuroscience research shows that positive thinking rewires your brain (the official term is neuroplasticity). We can learn to focus our attention constructively and systematically alter brain circuitry underlying intrusive negative thoughts. Using mindful awareness, a self-observational skill, we can choose to respond rationally to emotionally stressful stimuli. We create new connections and the more you use them the stronger those connections become. After a while, you build a new good habit of positive thinking. So for me personally, how important is confidence? Well, confidence is what gives me the impetus to make things happen, to create new coaching programmes, to open up to speak to potential clients, to share my thoughts, and so on. Confidence and trust in my relationships allows me the strength to reveal my weaknesses and fears, to talk things through. Confidence gives me the courage to embrace life, with all its risks and uncertainties and enjoy being me. That’s why I believe confidence is vital. I’d love to hear how important confidence is to you. Why not take the online course with coaching calls and webinars if you can’t come to the Edinburgh courses? See more on www.aeonacoaching.com You also get over 50% discount if you like Aeona’s facebook page. April 28, 2014 by Sue Mitchell, Aeona Limited. Is your vision exciting and motivating? Is it propelling you towards success? Do you have a meaningful and compelling vision? Are your daily actions leading towards your vision? What is the purpose for your business? What difference is it making to the world in general and/or to your customers in particular? When you take time to align your vision with your own personal values, your business becomes more meaningful to you. You find your work energising and have boundless intrinsic motivation for getting stuck in to make it happen. If you recognise how this inspires you to put extra effort into your work, you will understand why taking time to align vision with values for the business as a whole is worthwhile. What values do you want your business to express? What behaviours do these values translate to, for yourself as business owner, for your people who work in your business, and for your customers, clients, suppliers, and anyone else who interacts with your business? How can you create your vision and invite your team to contribute to refining it, so it becomes a purpose that everyone in the business buys into? How are you then communicating that to all in the business and beyond? Do get in touch with me if you’d like to know more about clarifying your values and creating a sensational vision – I have some fabulous tools to help you create your living, fiery, motivational vision. If you found this note helpful and would like to get an email with business and leadership tips (and instant access to a report including the other four in this series) direct to your email, please sign up for the newsletter on one of the links below. You can also register for my no-cost webinar series on business building: 1) SOAR Analysis for the business and you, including targeting your niche. 2) Visioning Session – creating an inspiring and compelling purpose and direction. 3) Planning and resources. March 24, 2014 by Sue Mitchell, Aeona Limited. Leading from behind or infront? I’m very much looking forward to an insightful conversation on the dance between leading from behind and in front. Serendipitously, I heard about the ‘Leadership Two Step’ tool at the Emotional Intelligence Week online conference last week. I think this is relevant to our conversation about leading from behind or in front and I’d like to share it with you. The Leadership Two Step, from “Leadership keys field guide: emotional intelligence tools for great leadership” / by Reldan S. Nadler. — Santa Barbara, CA : Psyccess Press, 2007. I see ‘stepping in’ as ‘leading from in front’. At first, this is setting direction, creating the vision and ensuring systems are in place; clarifying expectations – outcomes, schedules, resources, accountability and boundaries of when to make decisions, when to check and when to ask; encouraging and motivating. 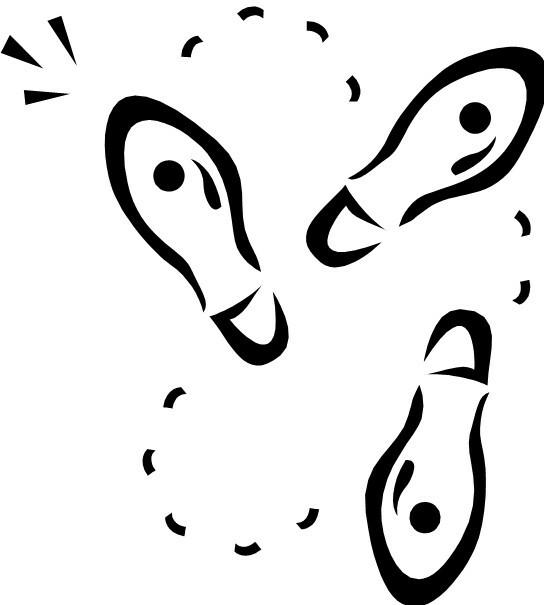 In later stages, stepping in involves reiterating the vision and outcomes and monitoring all that was set up initially. When things are going well, it’s about supporting, acknowledging, spreading the news, identifying best practise so others can repeat successes, evaluation and so on. When things are not going well, stepping in involves understanding what’s going on, what’s been tried, offering solutions and making a decision. Then reiterating elements of the initial stepping in stage. I see ‘stepping out’ as ‘Leading from behind’. Let them get on with it and come to you if they have questions, asking for their solutions and redirecting them to others; managing resources and resisting the urge to step in and take over or take on their problems; giving recognition and support. The real skill is in recognising when you need to change step! That comes from being in tune to the beat and rhythm of what is going on, just as when dancing you need to be in tune with both the music and your partner. Like dancing, and just about everything else, that skill comes with practise. I think a useful adage to this is “Trust and Verify” – trust they can and will do it, include discussions about how they will do it which builds your trust, and set clear expectations of how they will verify to you that it is on track. This helps you refrain from constantly checking over their shoulder. I know many of my senior exec and manager 1:1 clients will find this tool useful, particularly in practising timing for stepping in or out. 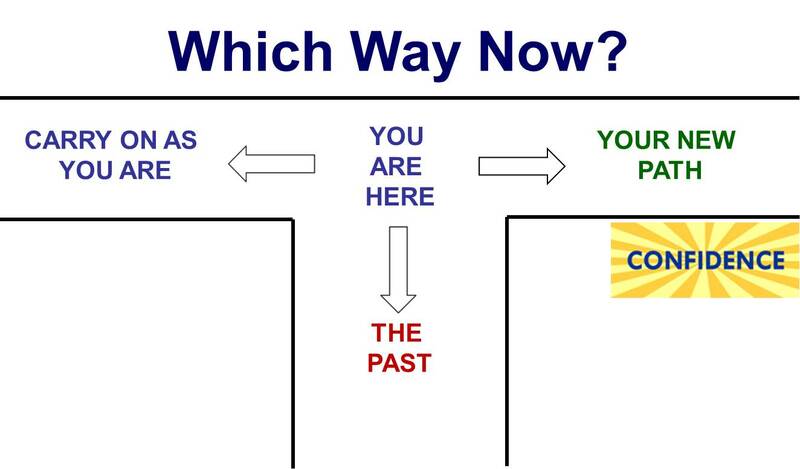 I think this tool gives a rational, quick reference to check where you are in the cycle and reaffirm your optimal next move. It breaks the ‘stimulus – reaction’ response by creating a thinking space when you choose an appropriate response rather than automatically react with your habitual behaviour. I think it is particularly useful in reminding the need to reiterate the vision and deliverables, both when things are going well and if they are not; and that you do need to step in and lead from the front at times even when things are going well.